Home » That 70's Show, Again! A far out evening of musical performances featuring the top sounds of the decade performed by local artists & friends! 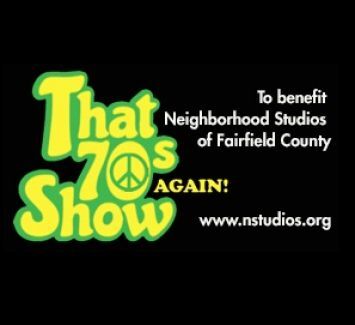 To benefit Neighborhood Studios of Fairfield County. Neighborhood Studios of Fairfield County has been providing arts experiences to thousands of Bridgeport children for over 30 years, and currently provides year round services to 1500 youngsters. We strive to change the lives of children at risk through the arts. For All VIP Ticket Holders, Doors will open at 6:30PM. For All GA Ticket Holders, Doors will open at 7:00PM.